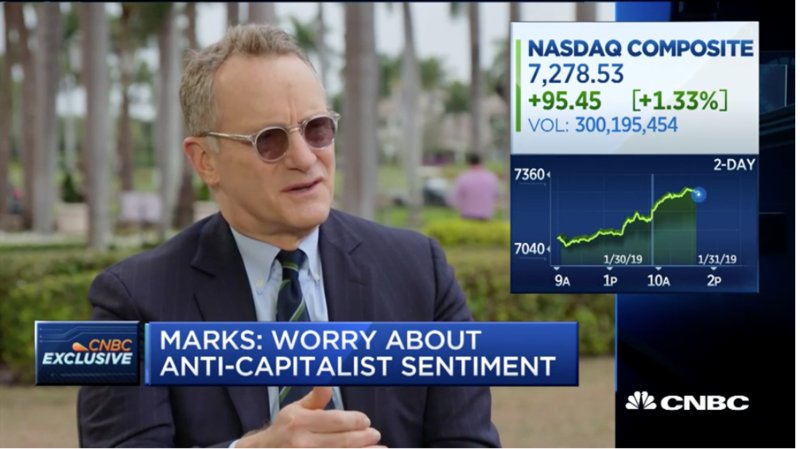 Howard Marks, Oaktree Capital Co-Chairman, was interviewed live by CNBC's Brian Sullivan on "Fast Money Halftime Report" from the 2019 TIGER 21 Annual Conference regarding the oulook for the market. The Fed's decision to hold rates. Real estate and infrastructure investing.